Achladies. 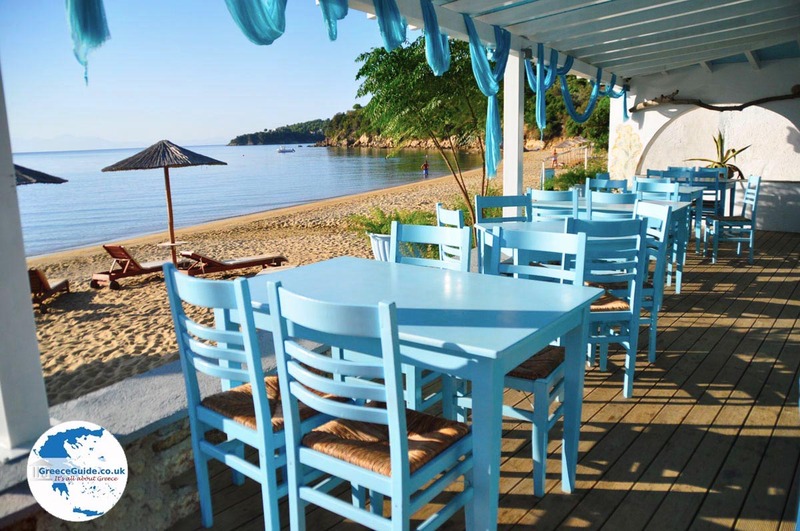 Achladies is a well-known tourist area located about five kilometres from Skiathos town. 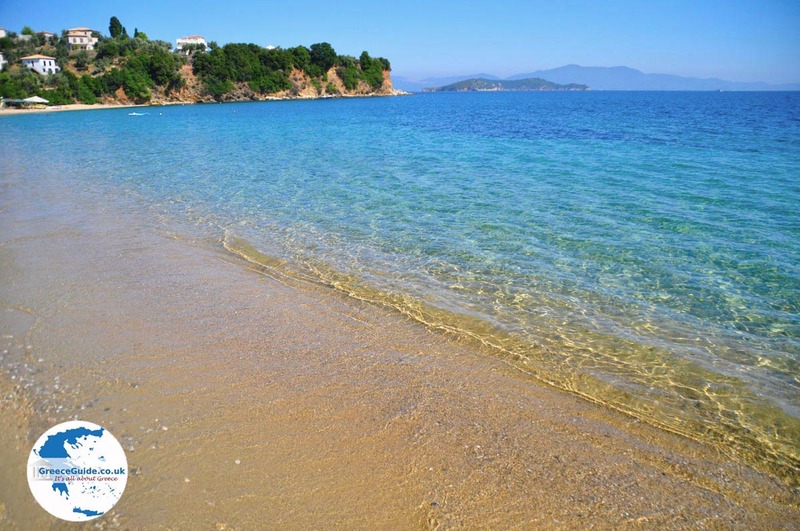 It's not really a village, it is a hamlet, built around the beautiful sandy beach. 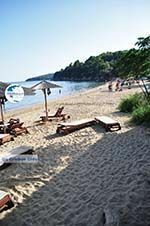 There are hotels, apartments, rooms for rent, bakeries and shops. 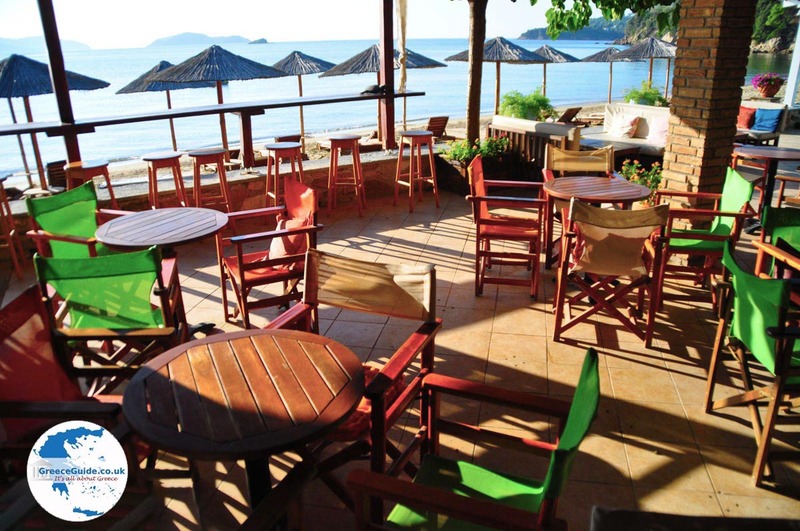 On the beach there is a very nice beachbar/restaurant called “Maniatis Garden”. 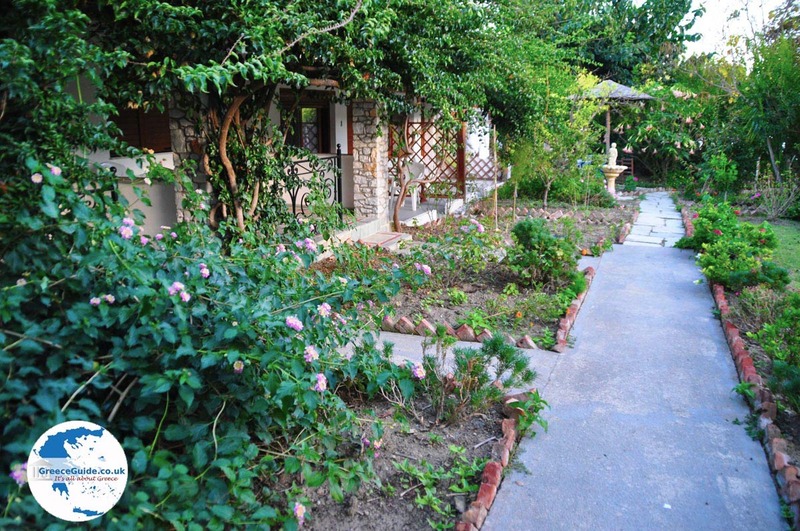 The owners of “Maniatis Garden” have built, just behind the beach some apartments for rent and a large flowered garden, where all kinds of vegetables are grown. Freshly picked vegetables are used by the owners in their restaurant. We stayed a few days here and had a great time. Achladies beach is idyllic, surrounded by greenery and low hills. 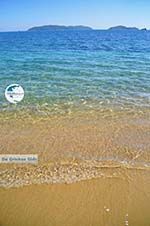 The turquoise sea, the blue sky, the green surroundings and the islands of Tsougkria that lie opposite are a pleasure to experience. 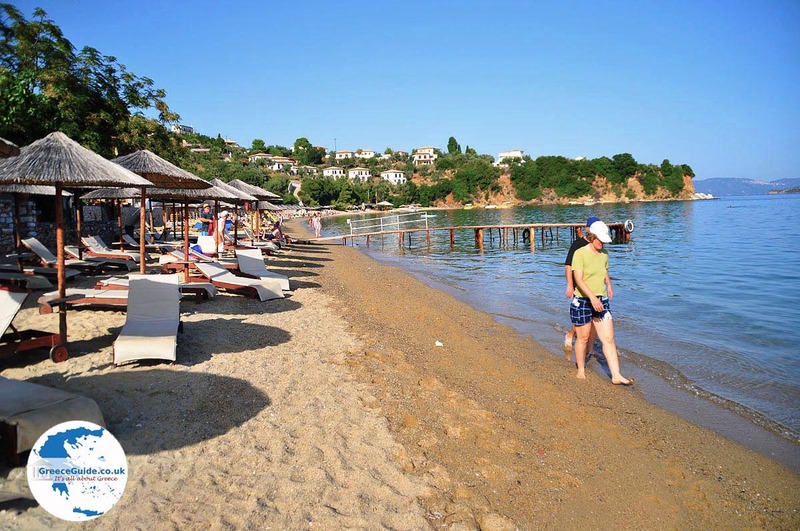 From Achladies boats commute several times a day back and forth to Skiathos town. 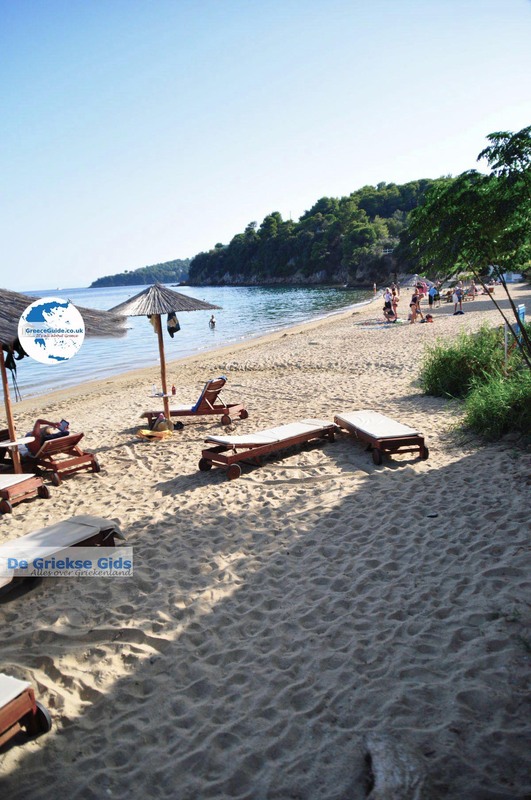 Once an hour there goes a bus to Skiathos Town and also to the other beaches of Skiathos. 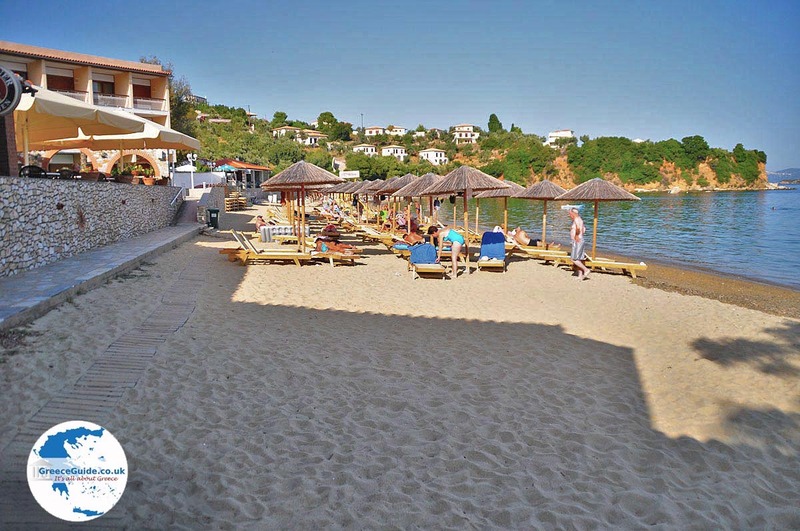 A trip to the famous Koukounaries beach takes no more than twenty minutes. In the evenings and at full moon it is beautiful here. 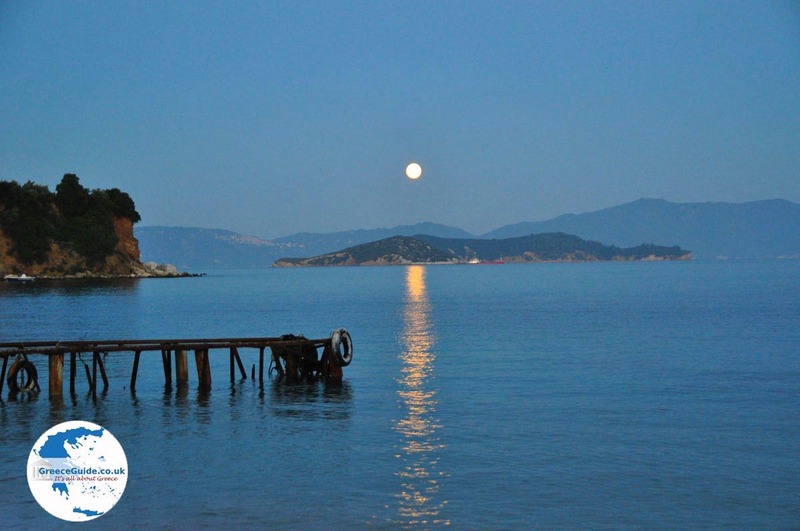 The moon rising behind the mountains of the island of Skopelos, which is not far from Skiathos, is unforgettable. 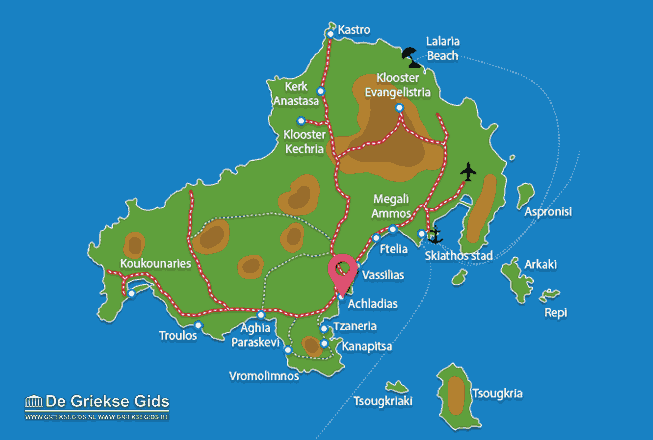 Also have a look to the islands of Tsougkria and behind them, Evia island, is very nice to see. During winter in Achladies live about eighty permanent residents. 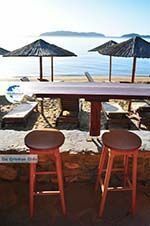 Skiathos: Where on the map is Achladies located?